We are a business savvy commercial advisory practice masquerading as a law firm. We can provide all the advice you need, either internally or through our substantial network of business experts. Glenville Walker and Partners was created due to a view held by its Directors that business clients were no longer receiving supportive advice from experienced business lawyers, at value for money prices. Larger corporate law and accountancy firms have become depersonalised over time, and it is often hard for business clients to find their way through those frameworks in order to obtain the best advice for their business. At Glenville Walker we aim to achieve high standards of expertise by ensuring that clients deal only with senior experienced business lawyers. Our structure and network enables us to work very closely with corporate finance and general business advisory services, and our mission is to deliver all services as simply and effectively as possible. Treat us as “your 5th Board member”, as we aim to provide a completely integrated set of advices across the entire business spectrum. We will take away your frustrations and your business will be more effective as a result of our relationship. As a team at Glenville Walker we have returned to old style family values, where our clients relationships matter more than anything else. Our combined network of contacts is second to none and we are best placed to source additional consultancy services within the market. experienced and bespoke service within the legal sector. Mark is a co-founder of Glenville Walker and is Head of the Real Estate department. Mark is a mainstream commercial property expert advising on all aspects of commercial property. Having had twenty-five years of experience advising on commercial property, Mark is a leader in his field. 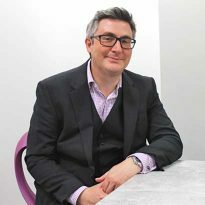 Mark qualified as a solicitor in 1993, having trained with a magic circle law firm. Mark’s experience in his formative years was second to none having led a number of high volume property investment projects for various institutional investors and pension funds. Mark’s practice covered and continues to cover all areas of mainstream commercial property. Mark has particular expertise in the areas of secured lending and development finance and formed and led a property finance team with a large Liverpool practice for a number of years. In addition to mainstream commercial property (both freehold and leasehold) as a result of acting for various banks and institutional lenders on development finance transactions, Mark has had considerable experience in development projects. Mark has acted and continues to act for a number of public and private bodies on large mixed use development schemes advising on all aspects to include site acquisition and assembly, funding and disposal. “Mark is an excellent property lawyer who we have used over many years. We are always confident in his ability to provide sound but practical advice and in his ability to work to challenging timescales”. “I have worked with Mark on numerous occasions on varying cases and have always found his work of the highest quality with good attention paid to any relevant areas which needed the necessary diligence” . “I have worked with Mark on various property related projects ranging from estate management to site acquisition, assembly and funding on mixed use development schemes. Apart from having the expertise and experience in his subject, Mark’s proactive and ‘can do’ approach really does set him apart from his peers. I would highly recommend Mark”. “I have worked with Mark Glenville over the last few years on some fairly complicated transactions. I have always been impressed by his attention to detail coupled with his commercial and pragmatic outlook. It is rare, in my view, to find this refreshing combination. There has always been a “can do “attitude with no loss of integrity or professionalism. Mark has never failed to deliver the desired outcome – on time and in budget. I would have no hesitation in recommending Mark’s services to anyone looking for an experienced and competent commercial legal service”. Denise is a co-founder of Glenville Walker and is Head of the Business Law department. Denise advises on all aspects of Business Law and as Head of Corporate Department she quite uniquely instigated the development of a Corporate Finance offering within her last firm over 16 years ago. This also encompasses Corporate Finance and Business Enhancement and Restructuring. Denise has worked very closely with Corporate Finance for many years and as a result has developed a more rounded approach to business advice’s which has enhanced her reputation and has been recognised by her clients as different. Denise is a natural communicator and has a wide circle of business contacts which she will draw upon in Glenville Walker to create a useful and exciting network of support for Business Clients. Denise qualified as a Solicitor in 1991 after a prior career in Haematology in Hospital Pathology. Denise spent 27 years working as a Corporate Lawyer in a large Business focused North west regional law firm. 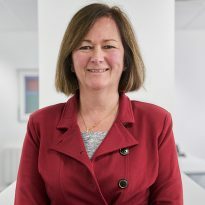 She was made Partner 4 years after qualification, was Head of the Corporate Department for 13 years (leading a team of 30 people which has the largest corporate team in Liverpool at that time), a member of the firm’s Management Board for two consecutive terms, developed that firm’s Corporate Finance offering and managed the Department through 4 consecutive mergers. Denise decided upon a change of direction last year and founded Glenville Walker with her partners on the 3rd of January 2017. Denise’s vision is to ensure that Glenville Walker will provide value for money by providing its clients with more user friendly, down to earth, commercially minded and practically useful advices either itself or through its network of experienced Business Consultants. This approach stands out as different in this world of larger corporate law firms who sadly seem to be losing their business friendly cultures as a function of their size. The Legal 500 2016 says Denise is “first rate” and Denise has been described in Legal 500 as a leading individual for many years. Elaine Clarke and Andy Donaldson, Baa Bar Group. “We have used the services of Denise Walker and her team for many years and undoubtedly will continue to do so. As Managing Director of a group of companies based in Merseyside, I have, over the years, had to rely on accurate and timely advice from Denise Walker and her team with regard to many areas of Corporate and Commercial issues. From complex supplier contracts to business restructuring and all parts in between, I have always valued the legal advice provided by her. Her ability to very quickly cut through the “white noise” of commercial issues and summarise the problem and the legal requirements of dealing with issues has always impressed me. Equally important is this advice is always provided in a down to earth, common sense manner and strips away the “legalese” jargon which can often accompany such commercial issues. 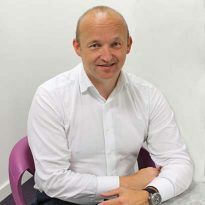 David Hughes, Managing Director, Lawton’s Ltd.
As a former life scientist and recognised Intellectual Property (IP) specialist, Joanne is experienced in all aspects of both contentious and non-contentious IP. As Head of Intellectual Property at Glenville Walker & Partners, Joanne’s aim is to help clients to profit from their ideas and innovations, through identification, protection, development, exploitation and enforcement of their IP rights (IPRs). Acting for a wide range of clients from individuals, OMB’s, SME’s to PLC’s in a variety of sectors, advising upon issues covering Patents, Trade Marks and passing off, Copyright, Design, Trade Libel and Confidential Information together with IP/IT agreements including licences, assignments, R&D collaboration, manufacturing and supply and software agreements. 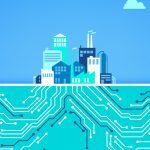 With IPRs it helps to understand the full life cycle of the IP within the business, from what IPRs they have, where did they come from and who owns them, to how and why they innovate, how they capture and protect their ideas and ensure they are free to use and are they making maximum use of their IPRs. The starting point is often an IP audit of either the entire business IPRs or of the IPRs in key products, services and/or software. We provide value for money by providing our clients with more user friendly, down to earth, commercially minded and practically useful advice, either ourselves or through our network of experienced Business Consultants. Joanne Shelley receives strong recommendations for her expertise in commercial and IP law. Joanne Shelley is “very attentive,” “technically brilliant” and “very good with people,” clients say. Dr Richard Price, Director – Kainos Innovation Ltd.
Hazel is an enthusiastic and dedicated CEO, and a secret technical-social media geek at heart! Hazel’s main focus as the CEO at Glenville Walker and Partners, is to strengthen and enrich relationships with both our partner firms and clients, placing them at the heart of every form of practice. She has a compassionate approach to facilitating great client relationships to help businesses maximise the value of partnership and collaboration. This in turn helps our clients develop overall good professional reputations, through business networking by encouraging an environment for both business referral’s and future growth. 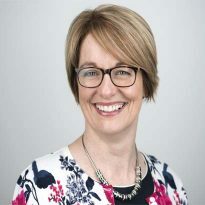 As a trusted client adviser, Hazel maximises long-term revenue opportunities for the company’s that we work with here at Glenville Walker and Partners. 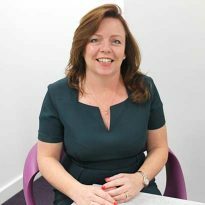 Hazel has worked with the professional sector across the Northwest since 2006, working for well-known business networking agencies both in Liverpool, Preston and the Wirral. 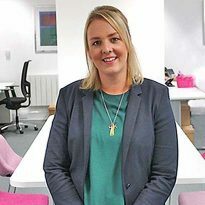 Starting out her career as an Events Manager responsible for a programme of 150 events per year, progressing through to become a Sales and Business Development Manager for a UK wide hospitality brand in charge of the Liverpool region’s budget control and brokering opportunities into new client markets. 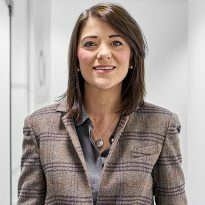 To later specialise as the Commercial Manager for a maritime, logistics and energy cluster organisation handling over 200 client accounts, demonstrates a track record of Hazel’s extensive experience in sales and client handling, as well as technical knowledge relevant for the professional industry. Mark is a Chartered Accountant and an experienced corporate financier. Mark has been involved in deals with an aggregate value of well over £500m, ranging from sub-£500k to £100m+. But his passion lies with small and medium sized businesses. Mark brings best in class advice to this sector but at a price structure that represents great value. Mark has significant experience working with entrepreneurial businesses and their owners to help them grow, commercialise their finance function and maximise their value. Beth is a Conveyancing Executive in our Plot Sales and Development Department, who joined the team in March 2018. Beth has over 5 years of experience dealing with a wide range of development transactions from acquisition right through to Freehold disposal. Beth specialises in fractional off plan sales and understands that efficient plot sales are the key to a developer’s cash flow when entering in to any development, and aims to make the process run as smoothly as possible by adhering to exchanges within a controlled timeframe. In her spare time Beth enjoys traveling far and wide! Kim Rainford is a trainee solicitor who joined us in March 2017. She started her training contract with Mark Glenville in the property department, assisting with both commercial and residential transactions as well as running her own case load. After getting her law degree at the University of Liverpool and completing the LPC at Manchester College of Law, Kim started her legal career working as a paralegal for a Personal Injury law firm. Kim then caught the travel bug and lived in Córdoba, Spain, teaching English for three years before returning to Liverpool to pursue her legal career. Kim then moved into the world of property and began a role as a paralegal in the property department of a local law firm gaining valuable experience before joining our team. Kim hopes to qualify into the property sector and strives to promote Glenville Walker’s role as a leader in this field. Daniel is a trainee solicitor who joined the team in August 2017. He started his training contract with Denise Walker in the business department, assisting with both commercial and business restructuring matters, as well as running his own case load. After completing both his law degree and LPC, Daniel went to work as a paralegal at a firm that is a market leader in the field of Dental Law before joining Glenville Walker to fulfil his aspirations of becoming a commercial solicitor. Outside of work, Daniel spends most of his time, money and emotions following Everton football club, a past time that he is still not sure if it’s a hobby or a form of penance. Daniel aims to qualify into the commercial sector, and help enhance Glenville Walker’s reputation as the business savvy commercial advisory practise to go to. Stephen is a business lawyer who has specialised in commercial law throughout his career. Stephen qualified in 1998, initially spending some years working at a major international law firm. Looking to gain first-hand commercial experience, he then took positions as in-house counsel at international companies operating in the financial services and chemicals industries. Subsequently, he returned to private practice working in leading national and international law firms, with the position of Partner at two firms. Now with over 19 years’ experience working as a dedicated commercial lawyer, Stephen’s expertise supplements and enhances the business law and commercial consultancy services offered by Glenville Walker. Stephen’s expertise covers the full range of commercial contracts across a wide range of industries and in the public sector. His work typically includes drafting, negotiating and/or advising on: agreements for the supply of goods and/or services, collaboration agreements, outsourcing arrangements, agency and distribution agreements, manufacturing agreements and various other bespoke business contracts. Stephen also has particular experience of contracts for the financial services industry, including consumer credit/hire, merchant acquiring and terms and conditions/bespoke contracts relating to payment cards. 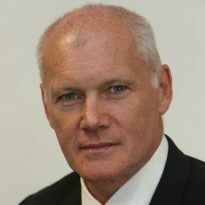 He has worked very closely over a number of years with a Network Service Provider (a business providing a national network of outlets for the provision of payment services and related transactions) and an ISO/MSP (Independent Sales Organisation/Member Service Provider – a business operating on behalf of acquiring banks for the referral of merchants). More than just an ‘ex-Banker’ Alistair spent 30 years in Commercial/Corporate Banking before leaving at the end of 2009. Since then Alistair has run his own Businesses and currently has a number of Business interests. Consequently, Alistair understands, has empathy with and practical experience of the issues facing Business Owners. Traditionally trained and professionally qualified Alistair’s skill set lies firmly in the SME arena. Alistair is a plain-speaking individual who manages client expectation at the outset and interfaces with the Bankers for the best result – Gamekeeper turned Poacher? Whilst not previously promoting his Banking Review skills Alistair has been sought out over the last few years to help clients facing issues. Simon has spent some 25 years working in the Investment and Corporate Banking Sector both in the City and in Merseyside. Working alongside customers and other advisers, Simon has structured financing transactions at Board Level for large and smaller corporates at a senior level for leading UK and International banks in the Leverage, M&A and Refinancing arenas. In recent years Simon has worked as a consultant reviewing banking arrangements for both banks and customers, and was retained by a leading global banking group in helping manage their Interest Rate Derivative exposures, and the Consequential Loss claims arising therefrom. As a result, Simon can provide an independent, experienced and objective review of any businesses banking arrangements where appropriate. In late 2016, Simon established The Alternative Board (“TAB”) in Liverpool, which provides individual and peer group coaching and mentoring for business owners. In collaboration with Glenville Walker, TAB will meet regularly at Glenville Walker and Partners offices, helping to unlock the considerable expertise available in support. Simon has been instrumental in resolving a complex bank mis-selling scenario for our family owned business, which has already resulted in a substantial redress payment (with further aspects of the dispute ongoing). Simon has in-depth knowledge of Corporate Banking and I would highly recommend his services to anyone looking for a review of their banking arrangements, or in dispute with their service provider. “I’m in the process of launching a new business – Irish Business Enterprise Ltd (IBE). Back in August 2017, I joined TAB to develop our ideas. It’s a brilliant experience. I’ve gained some great ideas round the table. Simon’s knowledge of banking and business process along with his decision making has been invaluable. I’m so pleased to be a notified ongoing TAB Member. “I recently joined a TAB Board through my Mental Health Training Business. I have found TAB to be immensely helpful in focusing my attention and helping me to set realistic goals and targets as my business develops. The guidance and advice received from other business owners has been relevant and sincere, and I would recommend TAB to any business owner looking for ongoing help and support. Bren is a highly commercial Growth and Financial Strategist with an appetite for quality advice on change and deliverable business strategy. She brings strong credentials in developing and aligning strategy, transforming control environments, procuring lasting change and securing funding. 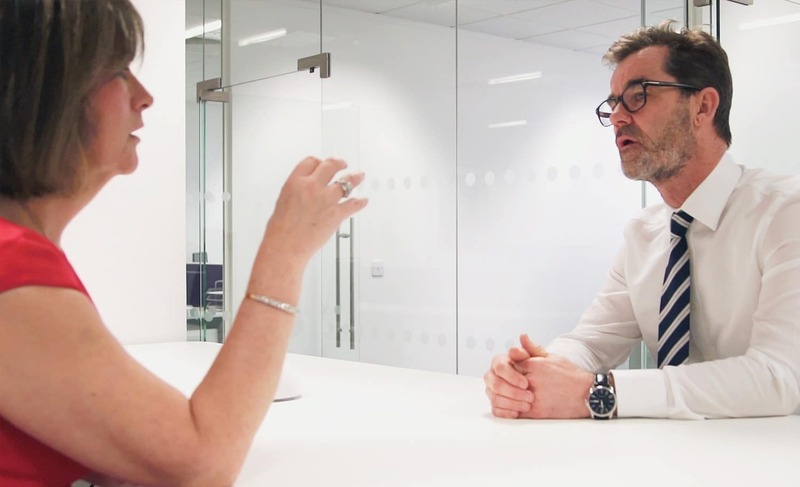 After spending 11 years as a Chartered Accountant with PwC, Bren has spent the last 18 years leading finance teams and influencing business decisions in entrepreneurial, private equity backed businesses. She brings unusually broad business skills and a passion for value creation to the teams she works alongside. Bren is a creative thinker who gets to the heart of complex issues and is often the first to spot opportunities and risks. Most importantly, she is a trusted adviser who is passionate about growing UK businesses and helping companies to be the best they can be. Mark is an expert consultant at Glenville Walker and is Head of Business Strategies. 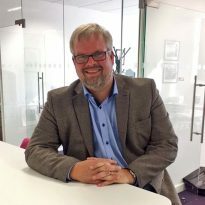 Mark specialises in strategic advice to corporate clients, guiding them to solutions across the business, which will increase their effectiveness and profitability. Having been a partner in several venture funds, invested internationally and exited companies successfully throughout his career, Mark helps the entrepreneur to evaluate their thoughts and provide advice targeted for their long-term objectives. Creating a strategy that is clear, executable and efficient is the key to unlocking the potential growth, profitability and exit value. Mark brings a practical and common sense approach to businesses, having taken a number of high growth businesses to successful exits and IPO’s. John became a Chartered Accountant with KPMG in London. He spent seven years working in corporate finance and corporate recovery before joining private equity group, 3i Group. Four years later John was appointed Group FD of a healthcare buyout he had backed whilst at 3i. John was directly involved in this company’s acquisition and operation of manufacturing facilities in Holland, the establishment of clean room facilities in China, the purchase of various medical technologies from the Israeli Technology incubator system and the merger with its key UK competitor in occupational healthcare. Ultimate exit was achieved via an AIM listed cash shell. John subsequently ran a regional venture capital fund with most investments in early stage technology companies. In 2008 John was part of a seven man multinational group of VC practitioners who sought to establish a US$100 million medtech fund. With funds committed the undertaking was thwarted at the eleventh hour as a direct consequence of the Lehman Brothers failure. Thereafter John advised a variety of early stage businesses and in some cases helped to raise finance for them. 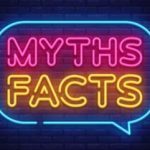 Most recently John spent six years as CEO of a novel therapeutics business whose key IP assets were ultimately sold to a US based competitor. John is amongst the most able finance people I have met. We first met when he was at 3i and, for a finance guy, he was a pretty good salesman! He persuaded me to take 3i’s money rather than other potential investors. We subsequently worked together for four years when he left 3i. He is both highly analytical and highly imaginative when seeking to solve a business problem. He combines this with a friendly and direct personal demeanour. He is amongst the most trustworthy people I know. What you see is what you get! I was John’s Chief Technology Officer when he ran Novolytics, a novel therapeutics business focused on the use of bacteriophages to combat antibiotic resistant infectious disease pathogens. John’s role inevitably focused on fundraising and determining the Company’s commercial direction. However his knowledge of the science that underpinned the Company’s endeavours was significant and his ability to convey complex scientific ideas to the non- scientist was impressive. I saw this on numerous occasions during fundraising exercises. John is very approachable and listens with total attention when a colleague raises a problem or issue. John was Fund Principal at NWEF when I was Genemation’s CEO. The Company designed face synthesis software. As is inevitable with pre revenue technology businesses, actual progress was sometimes different to forecast. This meant more money was required than originally planned. John is no soft touch but I can say that on every occasion we met his approach was both totally professional and friendly. He took his responsibility to his own investors extremely seriously yet was prepared to go “the extra mile” if he could see the management team remained focused and that market attractiveness for the product under design remained strong. Paul has spent almost his entire adult life working in the Financial Services sector. After around 11 years with Standard Life, he moved to Griffiths & Armour Insurance Brokers where for a further 11 years he was Managing Director of their Financial Services Division and Equity Partner in the Partnership. In 2008, the financial services division was acquired by Charles Stanley PLC, at which time Paul was appointed Managing Director of Charles Stanley’s corporate employee benefits business. An opportunity to lead the management team in the buyout of the business then presented itself in 2015, resulting in the sale of the business to management in April 2016. Paul is now CEO of CS Financial Solutions and is proud to be associated with a business that has been through so much change yet has managed to retain its underlying service values and ethos. The carefully assembled team are the greatest asset of the business and the excellent levels of client retention are an obvious testimony to the value that they bring to the ongoing client offering. Paul is a keen footballer (running not walking), a reasonable golfer, and enjoys watching most sports. Ian has spent 37 years in UK Financial Services, mainly working in business, commercial and corporate banking roles. Ian has gained a wealth of experience and business knowledge with 4 different organisations, undertaking a wide range of roles, including business development, customer relationship management, recruitment, credit risk management, project management, team leadership and profit centre management. 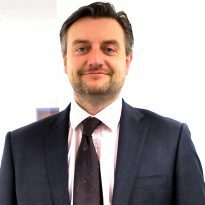 During the latter half of Ian’s career, he worked for Yorkshire Bank in the North West, firstly as a senior Business Banking Manager, before being appointed as Managing Partner to lead and develop the bank’s first financial solutions centre in Liverpool, in 2004. 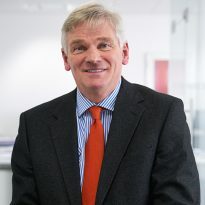 As well as leading the local banking team in delivering a range of commercial and property deals involving a range of financial services, such as invoice finance, asset finance, term loans, working capital and private wealth management, Ian played an active role in the professional community being the President of Liverpool Institute of Bankers in 2008 and Chairman of the IOD in Liverpool. In 2010, Ian took on a new national role for the bank focused on delivering improvements to the efficient use of the bank’s capital and quality of data. 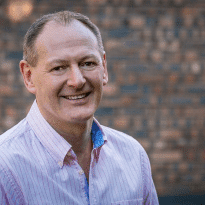 But it was during his time as a leader of the banking team in Liverpool that Ian started to develop his true passion for making a positive difference to individuals and business owners through coaching. 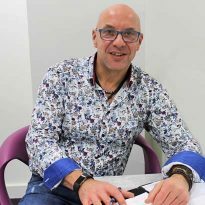 In 2010 Ian became a Master Practitioner in NLP and in 2014 gained his professional qualifications in Performance Coaching with The Coaching Academy. 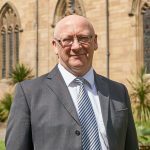 Since September 2016 Ian has been bringing all his experience, business knowledge and training together through his own coaching company, IPS Coaching, focused on delivering bespoke coaching solutions to owner managers of SME’s in Merseyside, Cheshire & North Wales. Without a shadow of a doubt, these sessions have been hugely beneficial. The coaching has forced me to go away and think about my business, to be realistic and to measure performance against the agreed goals. Ian has been very supportive and encouraging, showing a genuine interest in how my business is progressing. He’s also sent me supporting information post sessions and I found completing DISC very beneficial. All in all, I can’t thank Ian enough. I have had several sessions with Ian as a coach. I have found Ian to be very methodical in his approach and he asks the right question at the right time. Ian has helped me to bring clarity to the work I do, and I have decided to continue to work with Ian for the next few months because I know it will help me to continue to move forward with my business. Fantastic work, well done and thanks Ian. What can we say about Ian? Well, when you first meet him you instantly feel a great vibe about him. His passion for what he does shines through, and his understanding of business is second to none. We are by no means strangers to business coaching so in many ways Ian was expected to hit the ground running and he did so with extreme efficiency. In the three months that we have been working with Ian we have set a 12-month business plan, which we have measured against and met targets consistently. We have also now moved on to putting together our systems manual, something that has been on our collective to do list for around 3 years. Without question, I would recommend Ian to anyone looking to grow their business. He certainly gets you to commit to when you’re going to do something by and can get the best out of us. If you are serious about growing your business, then he is the person to speak to. I am currently undertaking several coaching sessions with Ian Spink. I have found the sessions very worthwhile. He has really made me think of how I can improve my work practices and therefore my lifestyle. I now feel more structured, organised and productive. Income is improving and I’m positive this will continue, enabling me to have more free time. He really does make you think and, not unsurprisingly, I already knew deep down that I could work in a more productive way, he just points you in the right direction to enable better practices to happen. Nick is an experienced entrepreneur having sat on over 25 companies as a Non-Executive Director ranging in size from £2m to £220m. Nick has personally been involved in over 20 successful exits and has considerable experience of getting a company’ ready for sale’ to extract the best possible price for shareholders. A Sales and Marketing professional with customer satisfaction at the core,Nick has worked with many banks and venture capitalists including 3i,Enterprise Ventures,MSIF, RBS,Barclays ,BOS and many more over many years. Nick has a no nonsense approach that works. For over 25 years David has worked in many sizes of businesses across a variety of sectors. Working in small, medium and large businesses delivering complex assignments in the UK and internationally. All assignments focused upon sustainably improving performance, and profits and creating/increasing the value of companies – realising hundreds of millions of profit improvement, cost reduction and cash-flow/working capital improvements. 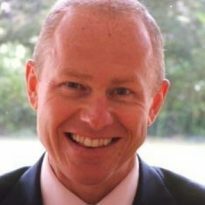 David has worked in operational line management in industry, in PwC’s operational transaction support team (the first of its kind in the world), a Business Profit Improvement/Restructuring/M&A Partner at Grant Thornton (GT), followed by a role as Global Head of Private Equity, Mergers & Acquisitions at Celerant Consulting (now Hitachi Consulting). has set up his own companies and has been personally involved in actively managing/running under-performing businesses on behalf of shareholders to effect sustainable business turnarounds and create value. 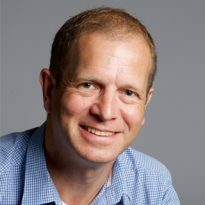 From an Investment perspective, David has raised funding, structured funding and made four of his own SME business acquisitions (also investing personal capital), three of which have now been successfully exited, having created significant value making a significant return on the investments; the fourth was completed in March 2015 and will seek to divest in circa 3 years. David is currently an investor in and also a non-executive director on the Board of three start-up companies. We’ve had the pleasure of working with some fantastic clients and projects over the years. I have just signed contracts for the licensing of a patent thanks to Joanne Shelley's expert input, help and advice. Joanne has great professional expertise in this area and was highly skilled at guiding me through all the ins and outs of different contract clauses. She was razor sharp and super quick in all her responses but also listened very carefully to what I needed. Added to which she is always cheerful. A strong recommendation is easy to give. Dr Richard Price Director, Kainos Innovation Ltd.
Forster Dean has worked with Denise Walker for many years and she is pragmatic, highly professional and always has our best interests at heart. David Axon has provided strategic direction, practical tactical input and personal finance to help our company develop and grow. His network of contacts for business growth and raising finance is second to none. I would recommend David to any business. David is now a non-Executive Director on the board of JUXDIT. Mark Steel produced a first class, clear and insightful investment document. His straightforward approach was hugely refreshing and he conveyed the opportunity and what was being asked of us in a really well thought out way. This clarity was invaluable to us as we could quickly decide how to proceed. “I have worked with Mark Glenville on various property related projects ranging from estate management to site acquisition, assembly and funding on mixed use development schemes. Apart from having the expertise and experience in his subject, Mark’s proactive and ‘can do’ approach really does set him apart from his peers. I would highly recommend Mark." "I have worked with Mark Glenville on numerous occasions on varying cases and have always found his work of the highest quality with good attention paid to any relevant areas which needed the necessary diligence." Mark Steel advised on the raising of finance for the acquisition of a loan portfolio on behalf of its broker. Mark Steel’s advice has helped save 80 jobs in the private equity backed MBO of Wrexham’s Caparo Wire. We put our clients at the heart of everything we do, and invite you to contact us. To get quick answers and information on all of our services, give our team a call or email.